Looking "where to sell my BMW 850csi?" Ask the Chicago Car Club! Are you wondering "where to sell my BMW 850csi ?" The Chicago Car Club is interested in classic cars of all makes and models, especially a BMW 850csi. 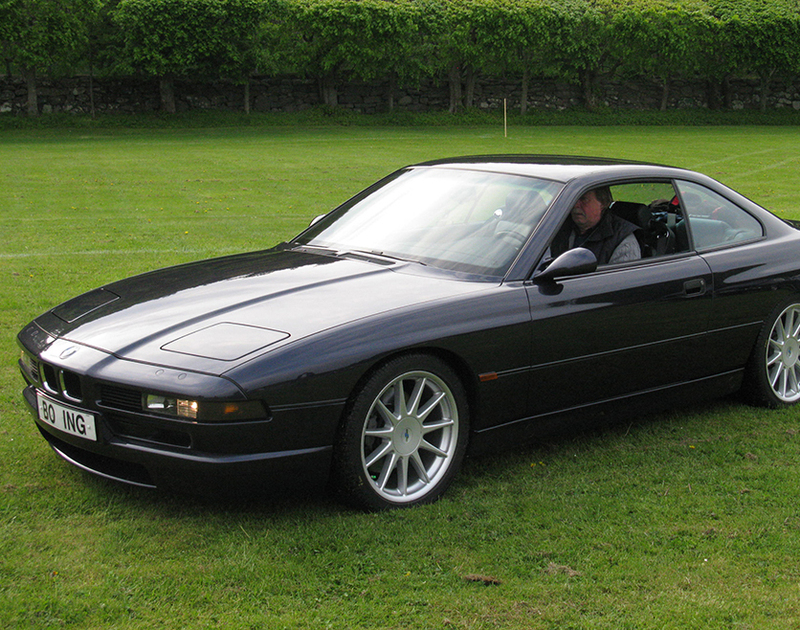 We make the process of selling your BMW 850csi quick and painless. In just a matter of hours we will have your classic valued and, if you do so choose, turned into money in your pocket. All it takes is a phone call or electronic inquiry to get the ball rolling. The BMW 850CSi model is one of the most iconic and powerful machines of the 1990s. The 850csi was the top of the line of the 8-Series cars, otherwise known as the e31. The BMW 850CSi is a powerful and sporty grand tourer. This model comes with a 380hp 5.6L V12 engine mated to a 6-speed manual gearbox. The 850CSi has many modifications compared to the various 8 Series models that BMW manufactured. The 850CSi featured stiffer springs and dampers that lower the car’s ride height. The 850CSi model came with throwing star wheels, which give it a handsome, very 90s look. The European 850CSi models had four-wheel steering, rear differential oil cooler, engine oil cooler, uprated and ventilated brakes that came with floating front discs, a two-tone interior, flashy sport seats, and uniquely shaped mirrors. While these higher-spec models were a hit, the manufacturing of the BMW 850CSi ended in 1996 because the engine could not be modified to properly comply with emissions regulations. The engine would have required complete re-engineering in order to do so, so BMW instead decided to end production all together.